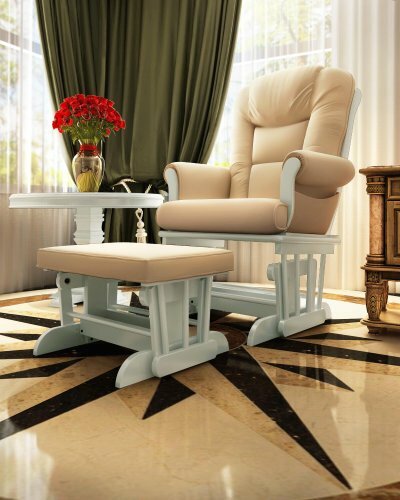 Naomi Home Deluxe Sleigh Glider and Ottoman Set White/Cream by Naomi Home at RVTE. MPN: 20013. Hurry! Limited time offer. Offer valid only while supplies last.